To receive notifications in your inbox when Boston Review is sponsoring an event, sign up for our Boston Events newsletter. Visit our newsletter sign-up page and check the box that says "Boston Events." Harvard Book Store and Boston Review welcome distinguished philosopher and professor MARTHA C. NUSSBAUM for a discussion of her new book The Monarchy of Fear, in which turns her attention to the current political crisis that has polarized America since the 2016 election. Although today’s atmosphere is marked by partisanship, divisive rhetoric, and the inability of two halves of the country to communicate with one another, Nussbaum focuses on what so many pollsters and pundits have overlooked. She sees a simple truth at the heart of the problem: the political is always emotional. Globalization has produced feelings of powerlessness in millions of people in the West. That sense of powerlessness bubbles into resentment and blame; blame of immigrants, blame of Muslims, blame of other races, blame of cultural elites. While this politics of blame is exemplified by the election of Donald Trump and the vote for Brexit, Nussbaum argues it can be found on all sides of the political spectrum, left or right. Presidential First Use of Nuclear Weapons: Is It Legal? Is It Constitutional? Is It Just? Nuclear weapons strategy in the United States is designed around “presidential first use,” an arrangement that enables one man, the president, to kill and maim many millions of people in a single afternoon. What legal or philosophical principle differentiates the moral harm or moral wrong that would be attributed to a terrorist, non-state actor or hacker who delivered a nuclear weapon from a presidential launch of a nuclear weapon? The conference will bring together international and constitutional scholars and statesmen to examine the nature of presidential first use in the United States, as well as parallel arrangements in the other eight nuclear states. To view full event details and to complete the free conference registration, visit the official event page. At an event presented by Harvard Book Store, Boston Review, and the MIT Department of Political Science, U.S. Senator Bernie Sanders will discuss his experiences as a presidential candidate and his thoughts about the political process. His talk will be based in part on the ideas presented in his latest book, Our Revolution: A Future to Believe In. As a part of the evening's presentation, Senator Sanders will be joined on-stage for a Q&A moderated by Archon Fung, Academic Dean and Ford Foundation Professor of Democracy and Citizenship at the Harvard Kennedy School. For full details, visit the event page on Harvard Book Store's website. Harvard Book Store and Boston Review present readings by Lucie Brock-Broido, Peter Gizzi, Jorie Graham, Ricardo Maldonado, Nathan Xavier Osorio, Monica Youn, and more from Poems for Political Disaster, a new Boston Review chapbook featuring both new poems and selections from our archive that record, refract, subvert, or otherwise respond to political trauma, catastrophe, or terror—both here at home and abroad. The evening will be hosted by Boston Review poetry editor B.K. Fischer. Poems for Political Disaster is a new chapbook from Boston Review which includes an introduction by U.S. Poet Laureate Juan Felipe Herrera as well as poems from Mary Jo Bang, Calvin Bedient, Shane McCrae, Khadijah Queen, Ange Mlinko, Wendy Xu, Craig Santos Perez, and Joshua Clover, as well as many others. The event is free; no tickets are required. Sunday, January 15th is the birthday of Martin Luther King, Jr, and on that day—five days before Donald Trump takes his oath to uphold the U.S. Constitution—hundreds of Greater Boston residents will come together to re-inaugurate their shared commitment to the rights and values that are essential to American democracy. Greater Boston Writers Resist is independently organized and co-sponsored by Boston Review, The Critical Flame, PEN New England, Beacon Press, Aforementioned Productions, AGNI, Arrowsmith Press, Black Ocean, Blacksmith House Poetry Series, the Center for Arabic Culture, the City of Boston’s Office of New Bostonians and the Office of the Poet Laureate, CONSEQUENCE Magazine, the Dominican Development Center, the Greater Boston Latino Network, Grub Street, Harvard Bookstore, Harvard Review, Louder than a Bomb, Mass LEAP, Massachusetts Immigrant and Refugee Advocacy Coalition, Memorious, Ploughshares, The Poets’ Theater, PoemWorks, Post Road, Salamander, and the UMASS-Boston Creative Writing MFA. Election Forum: Whose Vote Matters? Join Boston Review as well as the MIT Department of Political Science, MIT School of Humanities, Arts, and Social Science, and the Class of 1971 Kent State Memorial Fund for an exciting and timely forum on race, election access, and voter rights. Light refreshments will be served. Please join us for a very special "Ethics in Your World" Book Series event at the Cambridge Forum featuring Tommie Shelby, Elizabeth Hinton, and Khalil Gibran Muhammad in conversation with Danielle Allen. Featuring a facilitated discussion with three authors who have recent publications on the complex issues of race and structural injustice, and the steps that citizens and governments can take to find practical solutions to problems such as mass incarceration, extreme poverty in disadvantaged communities, and problematic notions of black criminality. This Cambridge Forum event is a collaboration with Edmond J. Safra Center for Ethics, Harvard Book Store, Hutchins Center for African & African American Research, Harvard University Press, and Boston Review. This event is free and open to the public; no ticket required. Books will be available for sale at the event. Join Boston Review and Harvard Book Store for an evening with Danielle Allen, Harvard professor, Director of the Edmond J. Safra Center for Ethics, and author of Boston Review's May/June 2016 forum, "What is Education For?" for a discussion of her new book, Education and Equality. American education as we know it today—guaranteed by the state to serve every child in the country—is still less than a hundred years old. It’s no wonder we haven’t agreed yet as to exactly what role education should play in our society. Danielle Allen brings us much closer, examining the ideological impasse between vocational and humanistic approaches that has plagued educational discourse, offering a compelling proposal to finally resolve the dispute. Monday, May 9 at 8:15 p.m.
Join 92Y and Boston Review for a reading by the winners of the "Discovery" 2016 Poetry Contest (contest details here). For more details on the event and to purchase tickets, visit 92Y's event page. Wednesday, December 9 at 7:00 p.m.
Join Boston Review along with Harvard Book Store at Cambridge Public Library for a poetry reading and signing featuring some of contemporary poetry's most prominent figures. The event will begin at 7:00 p.m. and will likely be popular, so we recommend showing up early for optimal seating. Boston Review will be there to meet attendees and to offer a complimentary copy of our latest issue when attendees sign up for our e-newsletter. The event is free and open to the public. Lucie Brock-Broido’s poems have appeared in numerous publications, including The Paris Review, The New Yorker, and Best American Poetry. She has taught at Bennington College, Princeton University, and Harvard University. Her 2013 book of poetry, Stay, Illusion, was a finalist for the National Book Award and the National Books Critics Circle Award. Mary Jo Bang is the author of seven books of poetry including Elegy, winner of the National Book Critics Circle Award. She is a recipient of a Hodder Fellowship from Princeton University, a grant from the Guggenheim Foundation, and a Berlin Prize fellowship at the American Academy in Berlin. She served as the poetry co-editor of Boston Review from 1995 to 2005 and is currently a professor at Washington University in St. Louis. Her writing is often praised for its deft mixture of post-modern elements with a disciplined, formal control of language. Stephen Burt is a poet, critic, and professor at Harvard University. In 2012, The New York Times called him “one of the most influential poetry critics of his generation.” He has published three collections of poetry and numerous works of criticism; his book, Close Calls with Nonsense: Reading New Poetry (2009), was a finalist for the National Book Critics Circle Award. He is currently a professor of English at Harvard University. Major Jackson has published four books of poetry. Two of these, Holding Company (2010) and Hoops (2006), were finalists for an NAACP Image Award for Outstanding Literature in the Poetry category. His 2002 collection, Leaving Saturn, won the Cave Canem Poetry Prize and was a finalist for a National Book Critics Circle Award. His most recent collection, Roll Deep (2015), explores the subjects of human intimacy and war. He is currently the Richard Dennis Green and Gold Professor at University of Vermont. Tuesday November 3 at 6:00 p.m.
Harvard Book Store, Boston Review, and WAM! : Women, Action, and the Media join to welcome president and CEO of the New America Foundation, Anne-Marie Slaughter, for a discussion of her book, Unfinished Business: Women Men Work Family, a thought-provoking examination of the struggle for equality in the workplace and the home in the 21st century. The reactions to her choice to leave Washington because of her kids led her to question the feminist narrative she grew up with. Her subsequent article for The Atlantic, “Why Women Still Can’t Have It All,” created a firestorm, sparked intense national debate, and became one of the most-read pieces in the magazine’s history. In her new book, she outlines her vision for what true equality between men and women means and how we can reach that goal. For more details and to purchase tickets, visit the Harvard Book Store event page. Saturday, October 24 10 a.m.-5 p.m.
Boston Review will be there all day with merchandise and special BBF-exclusive deals on subscriptions. Check out the Boston Book Festival website for complete information. Entry to the street festival is free and no tickets are required. Thursday October 8, 2015 at 6:00 p.m.
Harvard Book Store and Boston Review welcome Roberta Kaplan, joined by Eric Lander, to discuss her book, Then Comes Marriage: United States v. Windsor and the Defeat of DOMA. Renowned litigator Roberta Kaplan knew from the beginning that it was the perfect case to bring down the so-called Defense of Marriage Act (DOMA). Edie Windsor and Thea Spyer had been together as a couple, in sickness and in health, for more than forty years—enduring society’s homophobia as well as Spyer’s near total paralysis from multiple sclerosis. Although the couple was finally able to marry, when Spyer died the federal government refused to recognize their marriage, forcing Windsor to pay a huge estate tax bill. In this gripping, definitive account of one of our nation’s most significant civil rights victories, Kaplan describes meeting Windsor and their journey together to defeat DOMA. She shares the behind-the-scenes highs and lows, the excitement and the worries, and provides intriguing insights into her historic argument before the Supreme Court. A critical and previously untold part of the narrative is Kaplan’s own personal story, including her struggle for self-acceptance in order to create a loving family of her own. Friday September 18, 2015 at 3:00 p.m. In conversation with Eugene Rivers, Daniel Geary and Benjamin Hedin discuss their books, Beyond Civil Rights: The Moynihan Report and Its Legacy and In Search of the Movement: The Struggle for Civil Rights Then and Now. This event was part of Harvard Book Store’s Friday Forum, which takes place on Friday afternoons during the academic year as a way to highlight scholarly books in a wide range of fields, with a particular focus on local scholars. Thursday February 26 @ 6 p.m.
A poetry lecture by Timothy Donnelly. Edison Newman Room, Houghton Library, Harvard University, Cambridge, MA. Charlie Wright, Publisher of Wave Books, established the Bagley Wright Lecture Series on Poetry in memory of his late father, the businessman and philanthropist Bagley Wright. The Series is spearheaded by Charlie Wright and Wave Books editor Matthew Zapruder. It provides leading poets with the opportunity to explore in-depth their own thinking on the subject of poetry and poetics, and through financial and logistical support, deliver several lectures that result from these investigations. Lectures are delivered publicly in partnership with several large venues, including the Library of Congress in DC, New York University, Harvard University, the Poetry Foundation, and Seattle Arts and Lectures, and others. Timothy Donnelly is the author of Twenty-seven Props for a Production of Eine Lebenszeit (Grove, 2003) and The Cloud Corporation (Wave, 2010; Picador, 2011), winner of the 2012 Kingsley Tufts Poetry Award. His chapbook Hymn to Life was recently published by Factory Hollow Press and with John Ashbery and Geoffrey G. O’Brien he is the co-author of Three Poets published by Minus A Press in 2012. His poems have appeared or are forthcoming Fence, Harper’s, Harvard Review, The Iowa Review, The Nation, The New Republic, The New Yorker, The Paris Review, Poetry, and elsewhere. He is a recipient of The Paris Review’s Bernard F. Conners Prize and the Poetry Society of America’s Alice Fay Di Castagnola Award as well as fellowships from the New York State Writers Institute and the Guggenheim Memorial Foundation. He is the poetry editor of Boston Review and teaches in the Writing Program at Columbia University’s School of the Arts. 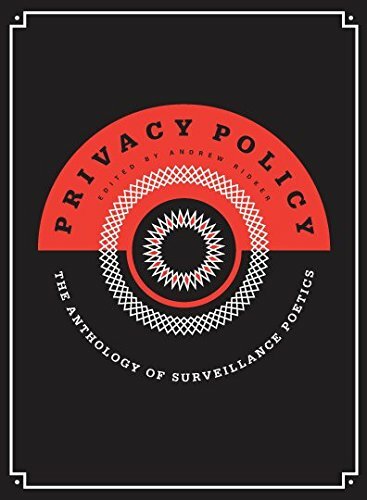 Tuesday, November 11 @ 4:30 p.m.
Because of Edward Snowden’s remarkable public service, we know that the National Security Agency, with the cooperation of some large firms, has amassed an unprecedented database of personal information. The ostensible goal in collecting that information is to protect national security. The effect, according to Reed Hundt, is to undermine democracy. Hundt—chair of the Federal Communications Commission under President Clinton and early champion of the Internet—argues that the law and traditional checks on political power have not kept pace with the digital realm. How should we respond? Hundt proposes a new compact that encourages citizens to use encryption to protect their information and offers government support for technologies and legislation that enable self-protection. Moreover, the government would have to rely on tried-and-true practices of the criminal justice system, not secret backdoors, to police encrypted digital space. for more details visit their Web site. Thursday September 25, 2014 @ 6:00 p.m.
Couldn't make it? Read our recap here. There is much to learn from the historic revolt of Market Basket employees and customers that saved its successful business model—featuring low prices and high quality jobs—and brought Arthur T. Demoulas back in control of the company. This MIT / Boston Review Forum brought together experts in leadership, corporate governance, finance, marketing, operations, and labor to discuss the key lessons learned and how to put them to work in teaching and practice and hear directly from people at Market Basket who made it all happen. We invited students, faculty, staff at MIT and sister universities and members of the public to join us and offer their ideas on what this case means for the future of American business and the education of future leaders. Monday September 22, 2014 @ 7:00 p.m.
Free and open to the public, this event is co-sponsored by Harvard Book Store, Black Ocean, and Boston Review. 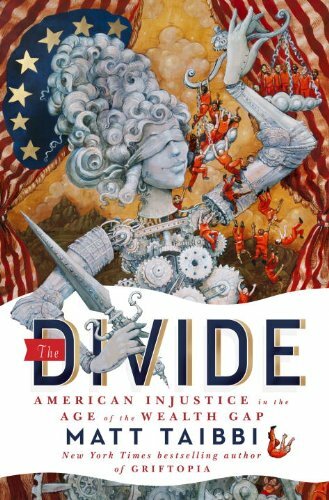 Harvard Book Store and Boston Review welcome contributing editor for Rolling Stone Matt Taibbi and award-winning host of NPR's "Here and Now" Robin Young for a discussion of Taibbi's newest book, The Divide: American Injustice in the Age of the Wealth Gap. Over the last two decades, America has been falling deeper and deeper into a statistical mystery: Poverty goes up. Crime goes down. The prison population doubles. Fraud by the rich wipes out 40 percent of the world’s wealth. The rich get massively richer. No one goes to jail. Taibbi takes us to the front lines of the immigrant dragnet; into the newly punitive welfare system which treats its beneficiaries as thieves; and deep inside the stop-and-frisk world, where standing in front of your own home has become an arrestable offense. As he narrates these incredible stories, he draws out and analyzes their common source: a perverse new standard of justice, based on a radical, disturbing new vision of civil rights. Purchase your $5 ticket from Harvard Book Store. Includes a coupon for $5 off the book! Harvard Book Store and Boston Review welcome Senator Elizabeth Warren for a discussion of her forthcoming memoir, A Fighting Chance. 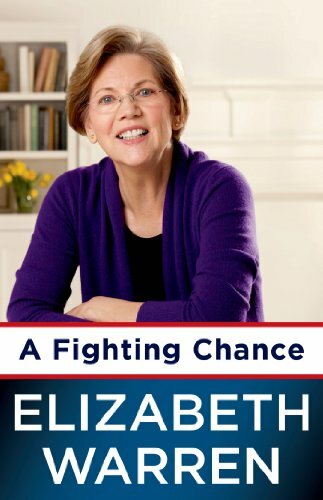 A Fighting Chance is Senator Warren's personal story of her rise from a working class family in Oklahoma to the United States Senate, where she is the senior senator from Massachusetts. The book is a rousing call for protecting the middle class—the backbone of America—and for building a stronger country. It includes her work in the Senate and her improbable campaign to get there; her fight to establish the Consumer Financial Protection Bureau; her effort to expose the truth behind the $700 billion bank bailout; and her battles with lobbyists over bankruptcy regulations. Through stories of hope and triumph, the book shows how Americans can wake up a government that has too often been consumed by special interests. Featuring Amy King and Tyler Mills for Boston Review; Steve Bradbury for Anomalous Press; Iver Arnegard and Cynthia Marie Hoffman for Gold Line Press; Elizabeth J. Colen, Miriam Bird Greenberg, and Harmony Holliday for Ricochet; Kim Henderson and Gregory Robinson for Rose Metal Press. Free and open to the public. The Poetry Society of America 2014 national series The Voices of Women in American Poetry celebrates the immense achievement of a wide range of poets, from Phillis Wheatley and Anne Bradstreet to Adrienne Rich and Lucille Clifton. Distinguished contemporary poets—both male and female—will gather in five cities around the country to discuss an important female predecessor and her influence on their life and work. The series will launch with a one-and-a-half day festival in Boston, co-sponsored by Boston University as well as Boston Review, featuring readings and panel discussions by poets Sonia Sanchez, Robert Pinsky, Lucie Brock-Broido, Jericho Brown,Marie Howe, Vijay Seshadri, Jane Shore, Henri Cole, CD Wright, Afaa Weaver, and others. Noam Chomsky: What is Anarchism? Noam Chomsky, world-renowned public intellectual and MIT Professor emeritus, will discuss the reasoning behind his fearless lifelong questioning of the legitimacy of entrenched power. Chomsky’s anarchism is distinctly optimistic and egalitarian. It is a living, evolving tradition, situated in a historical lineage, which emphasizes the power of collective, rather than individualist, action. This event is based on the topic of Noam Chomsky's new volume, On Anarchism, available from New Press. Nathan Schneider—editor of Waging Nonviolence and author of Thank You, Anarchy: Notes from the Occupy Apocalypse—will introduce Chomsky and moderate the Q&A. Climate engineering—which could slow the pace of global warming by injecting reflective particles into the upper atmosphere—has emerged in recent years as an extremely controversial technology. And for good reason: it carries unknown risks and it may undermine commitments to energy conservation. Some critics also view it as an immoral human breach of the natural world. The latter objection, David Keith argues, is groundless; we have been using technology to alter our environment for years. But he agrees that there are large issues at stake. On October 30, Keith, Oye, and Van Evra will discuss the possibility of and obstacles to climate engineering. This event is based on the topic of David Keith's new BR Book, A Case for Climate Engineering, available soon from MIT Press. David Keith is a Harvard Professor of Physics, Applied Sciences, and Public Policy, and Kenneth Oye and Steven Van Evra are MIT Professors of Political Science. This is an Ideas Matter event, a joint project of Boston Review and MIT’s Political Science Department that brings BR writers together with other experts and practitioners for substantive debate on the challenges of our times. Thursday, December 6, 2012 @ 4:30 p.m.
Boston Review has closely followed the Occupy movement and we welcome both the attention it has drawn to societal problems as well as its potential to re-democratize American politics. On Thursday, December 6th, Debra Satz, director of the Stanford Center for Ethics in Society, leads a panel discussion with Pulitzer Prize-winning journalist Chris Hedges, MIT Professor of Urban Studies and Planning J. Phillip Thompson, and Occupy Boston participant Nadeem Mazen, on the state and future of the Occupy movement. The panel will be moderated by MIT Professor of Linguistics and Philosophy Sally Haslanger. Dr. Kerry Emanuel, one of America’s leading experts on climate change and severe weather, will discuss recent severe weather events, the politics of climate change, as well as his Boston Review Book, What We Know About Climate Change. Tuesday, May 15, 2012, 4–5:30 p.m.
Imam Feisal Abdul Rauf, author of Moving the Mountain, and Professor John Bowen, author of the new Boston Review Book Blaming Islam, join Boston Review and the MIT Political Science Department for a discussion of the state of Islam in the United States, moderated by Christopher Lydon.